$40.99 & FREE Shipping on orders over $59 $35. 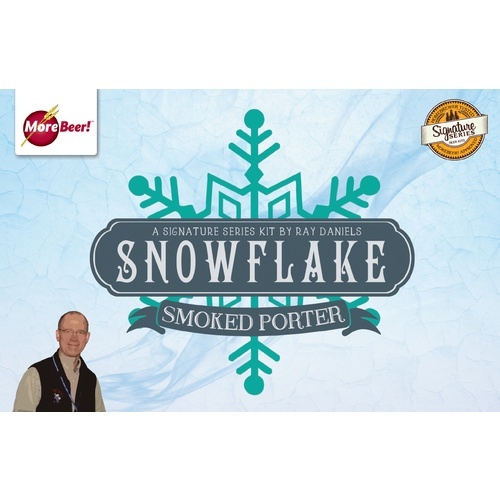 This beer combines the richness of black malt with the old-world smokiness of Bamberg: a Franconian village that is at once worldly and yet devoted to its traditional ways. 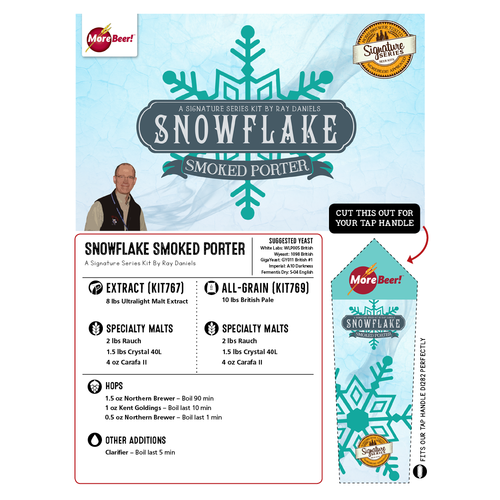 Brewed with an ale yeast, it mimics the origins of English porter, a beer made solely from brown malts dried over a direct wood fire. And since you'll never find a beer like this at your local liquor store, you'll have to brew it to appreciate the flavorful treats it can offer. 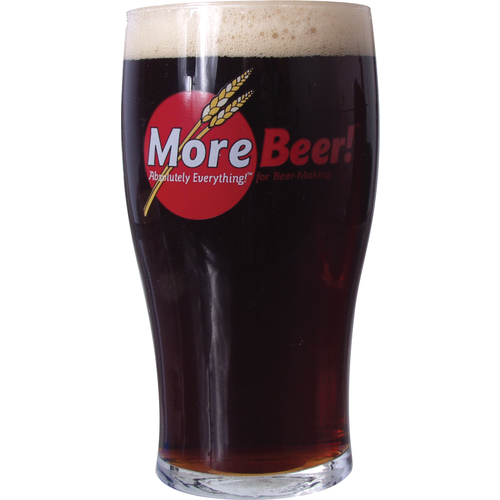 With an astounding Two Pounds of Rauch Malt, any fan of smoked beers will fall in love with Ray's beer! Ray recommends British Ale yeast, WLP005. Ray began brewing in 1989 after seeing a homebrew store ad at a Chicago hamburger shack. "The first batch was pretty good," he says, "but the second one was awful. Fortunately, I had already brewed the third batch before tasting the second, or that might have been the end of things. After tasting that beer, there was no looking back: I dove headlong into brewing and tasting and learning as much as I could about the art of brewing." That informaton was put together in his book, "Designing Great Beers", which has since become a must-have for any serious brewer. Over the years he has brewed more than 200 batches. When he started all-grain brewing in 1990 there weren't many options for buying mashing equipment, so he made his own 10-gallon vertical Coleman cooler Mashtun. More than 90 percent of the 200 batches he had made over the years were produced on the homemade equipment--although now the mash tun has been retired after some unsuccessful modifications a few years back. Ray has been a long time friend of MoreBeer! and is currently running the Beer Cicerone program.